We are ContainerOne and have the upper hand in the shipping container industry. With over 28 years of experience, we understand our customers wants and needs when it comes to purchasing their very own container. We go the extra mile by fully inspecting every unit before it leaves our depot, making sure they can be backed by our guarantees and covered by the warranty. 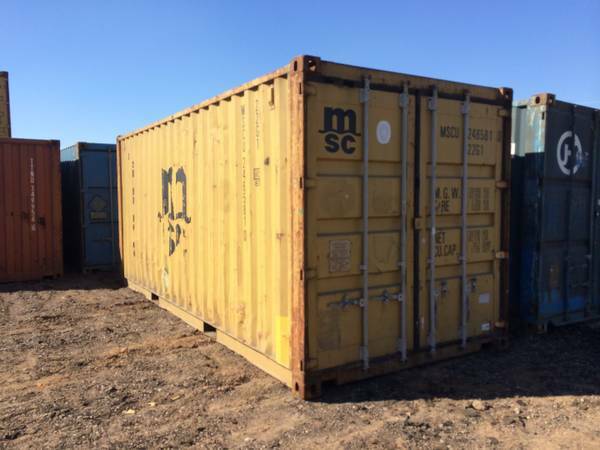 We have New, Used & Cargo Worthy containers all guaranteed to be 100% wind and water tight, no leaks or holes. No major structural damage, the doors and seals function properly, and the flooring is in good working condition. We also back them with a 1 year leak warranty (1 Trip/New containers get a 5 year warranty). ContainerOne sources containers from shipping yards near you, that saves you money on delivery costs and gets them to you FAST (within 7 business days). It also keeps business close to home and provides local area service. Contact me TODAY with your delivery zip code and I’ll give you a free, easy, no hassle direct quote.